Old Hunstanton is the perfect base for discovering everything that North West Norfolk has to offer. With its stunning sandy beach, sand dunes and pretty beach huts, Old Hunstanton also has an excellent 18 hole golf course. Some of the very best links courses that the UK can offer can be found right on the doorstep, including the Royal West Norfolk golf course at Brancaster (just a five minute drive away). All of these golf clubs combine a great game of golf with stunning Norfolk coastal scenery. Enjoy a delicious meal out at the Michelin starred Neptune Inn or The Lodge Hotel or Mariners pub/restaurant. The Lifeboat Inn, Chequers or Orange Tree at Thornham are all well worth a visit as is The Gin Trap Inn at Ringstead. Head to Brancaster and enjoy marsh views while dining from the verandah at the rear of The White Horse. Some of Norfolk’s most historic halls and houses are situated very close by to this pretty medieval village; Sandringham House, Holkham Hall, Houghton Hall, St Georges Guildhall and Blickling Hall are all nearby. And on a Thursday, visitors can explore the grounds of Old Hunstanton Hall which offer a complete contrast to coastal scenery. Norfolk is also one of the country’s leading bird watching areas and the North Norfolk coast between Hunstanton and Blakeney is particularly famous. This includes the renowned RSPB Titchwell reserve, Holme Nature Reserve, and Scolt Head Island. Holme is only three miles away and Snettisham RSPB Reserve is just seven miles away. The National Nature Reserve at Holkham, Blakeney Point and Cley Reserve offer the opportunity to see wildlife in its natural habitat and are all worth a visit. Make sure you don’t leave North Norfolk without taking a trip to see the seals. From Brancaster Staithe, you can catch a ferry to Scolt Head Island, if you truly want to get away from it all and appreciate how beautiful and unspoilt this coastline really is. Or alternatively try the sailing facilities here. Don’t forget to stop and buy a crab or samphire from the hut on the hard at Brancaster Staithe or from one of the fishermen’s housese in the village. Old Hunstanton is conveniently located for visiting many of Norfolk’s places of interest. Those craving some retail therapy can visit trendy Burnham Market with all its independent shops, boutiques, art galleries. Don’t leave without visiting its famous fish shop; Gurneys to pick up some local delicacies. If you’re looking for some shopping closer to home, then visit Le Strange Old Barns in Old Hunstanton. Hunstanton town offers plenty of fun for the whole family and the Sealife Sanctuary is well worth a visit along with a trip on the Wash Monster, a visit to the fun fair or a round of crazy golf. For those wanting more adrenline, enjoy one of the many activities on offer at the water sports centre. Burnham Thorpe, Nelson’s birthplace is also worth a visit to discover Norfolk’s close association with the naval admiral. With historic King’s Lynn only 30 minutes drive away and the cathedral cities of Norwich an easy drive away, you are spoilt for choice! Avoca Cottage is an impressive property in the popular coastal village of Thornham, offering three luxurious en suite bedrooms. Whether you are looking for a family holiday, or a weekend away with friends, you should look no further! 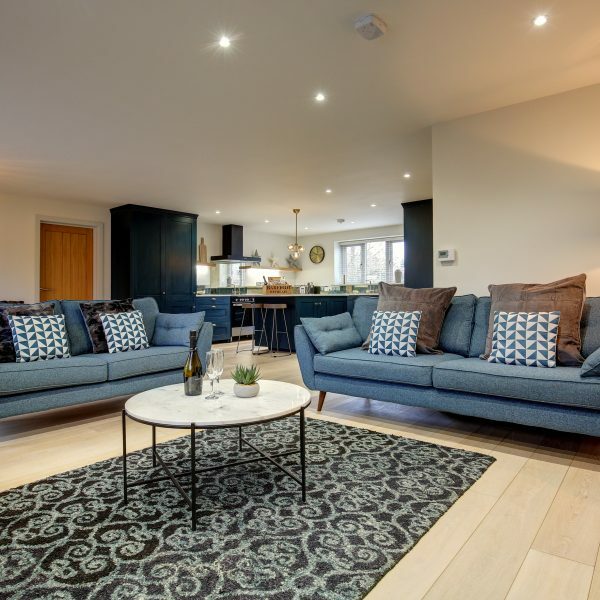 Spacious, comfortable and beautifully designed with attention to detail, this luxury property is perfectly placed to explore the North Norfolk coast, either by car or on foot, before retiring back to Avoca Cottage and relaxing in style! This charming coastal brick and flint house is located in the heart of the beautiful village of Thornham. Recently renovated and transformed to create a comfortable self-catering holiday retreat with four bedrooms, one en-suite, a family bathroom and downstairs shower room, with a very spacious open plan living/dining/kitchen area to boot. Holly House is beautifully furnished in a characterful, rustic, relaxed country style and is in easy reach of the harbour, beach, pubs and deli/caf?s which make Thornham so popular throughout the year! Fantastically appointed for families and can also be booked as a sleeps 4 when out of peak season. 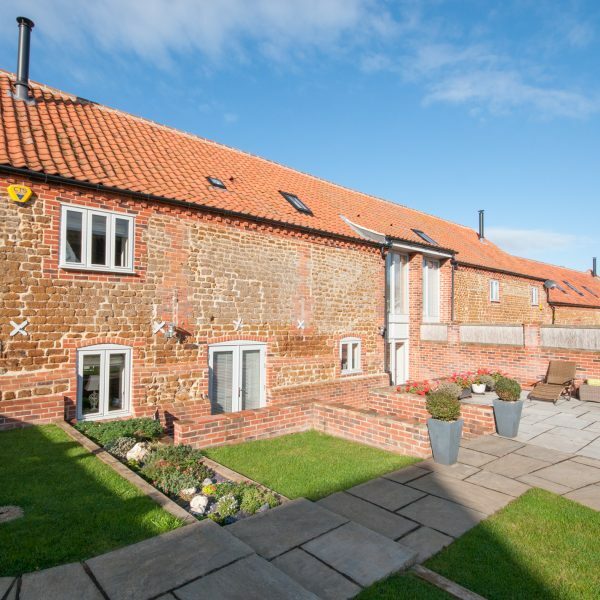 This charming coastal brick and flint house is located in the heart of the beautiful village of Thornham. Recently renovated and transformed to create a comfortable self-catering holiday retreat with a very spacious open plan living/dining/kitchen that is just perfect for socialising. 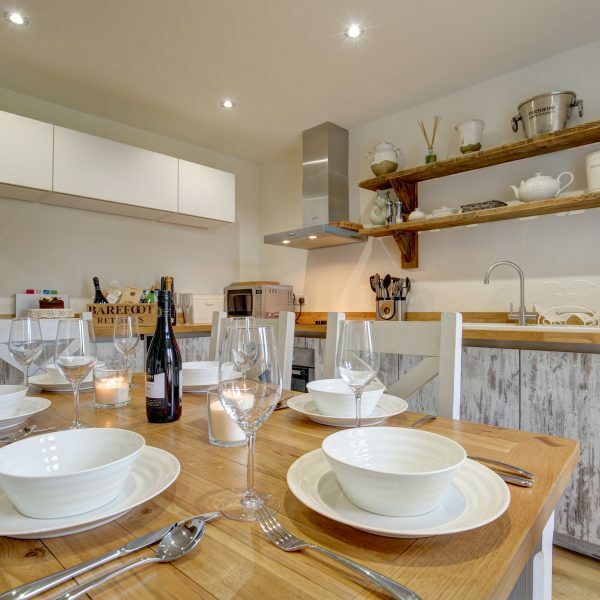 Holly House is beautifully furnished in a characterful, rustic, relaxed country style and is in easy reach of the harbour, beach, pubs and deli/cafes which make Thornham so popular throughout the year! 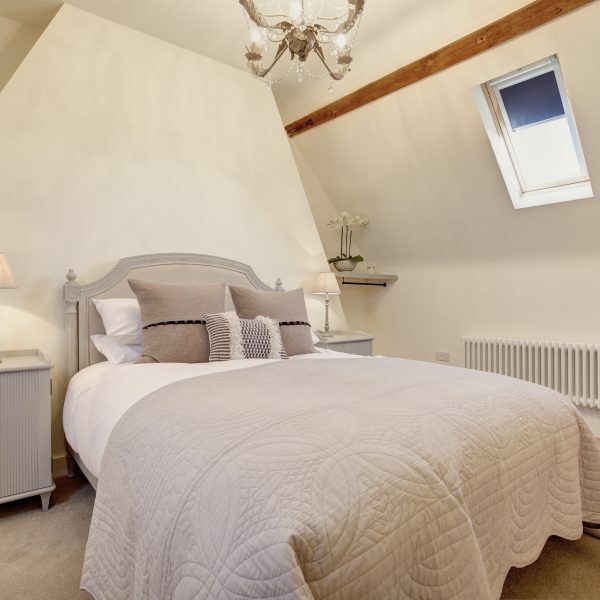 Fantastically appointed for families and now available as a sleeps 4 option, enquire with the team for more details about this lovely property. 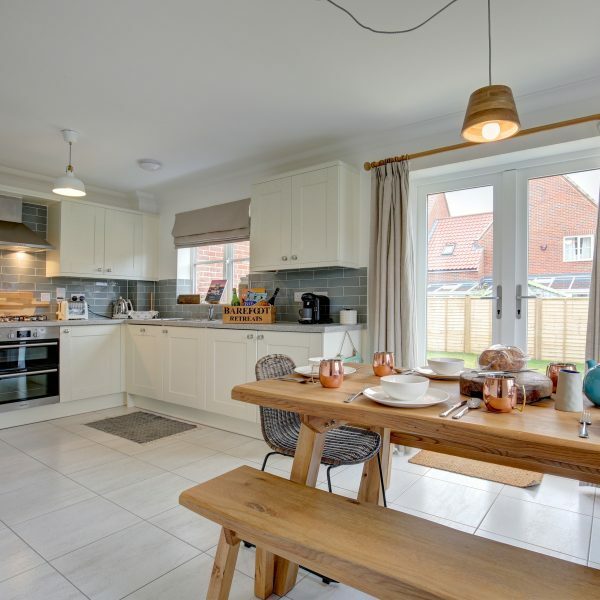 This uber-stylish holiday pad offers stylish living in two large reception rooms and has a relaxed country-style kitchen with Aga. With three spacious and light Super-King bedrooms, all with en-suites, this is a fabulous holiday retreat you won't want to leave! But tear yourself away and you'll discover there is so much in walking distance from this luxury retreat set behind high gates in the ever-popular village of Thornham. Located opposite the coolest deli on the coast; Thornham Deli where you can enjoy fabulous breakfasts, lunches and early evening suppers, this cottage is in a great location and you are only a hop, skip and a jump away from the village tennis courts, playing field and children's play area. With three gastro dining pubs, a restaurant in a yurt (Schucks), the best fish and chips along the coast, fresh fish hut and the village shop a short walk away, you won't be short of places to dine. The beach and harbour are also just a 20 minute walk from the cottage. New ground floor bedroom and larger kitchen area being developed for July 2019 onwards! This uber-stylish holiday pad offers stylish living in two large reception rooms and a fabulous new kitchen. With four spacious and light super king bedrooms, all with en suites, this is a fabulous holiday retreat you won't want to leave! But tear yourself away and you'll discover there is so much in walking distance from this luxury retreat set behind high gates in the ever-popular village of Thornham. Located opposite the coolest deli on the coast; Thornham Deli where you can enjoy fabulous breakfasts, lunches and early evening suppers, this cottage is in a great location and you are only a hop, skip and a jump away from the village tennis courts, playing field and children's play area. With three gastro dining pubs, a restaurant in a yurt (Shucks), the best fish and chips along the coast, fresh fish hut and the village shop a short walk away, you won't be short of places to dine. The beach and harbour are also just a 20 minute walk from the cottage. Little Manor is a delightful self-catering barn conversion located on the edge of the Sandringham Estate, right next door to Snettisham Park Farm with its flock of 400 ewe's, herd of red deer, horses and ponies. 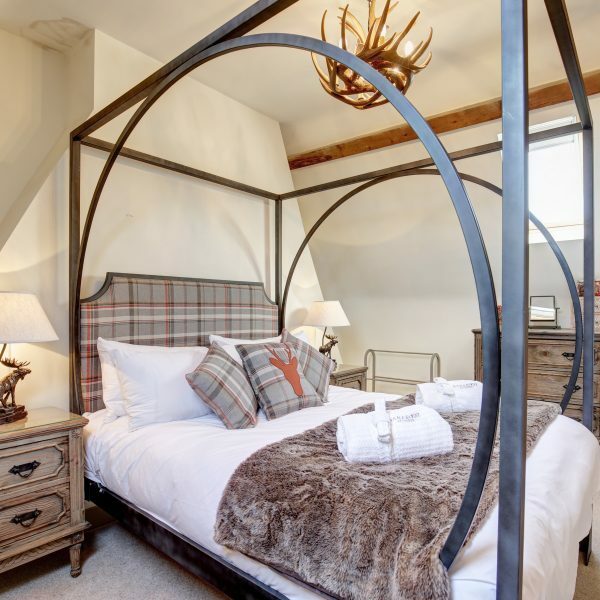 This fantastic property which has an eclectic style and a homely warmth with its large living area, wood burner and three beautifully styled en-suite bedrooms, is equally perfect for families and friends who want to appreciate the countryside and wildlife in this beautiful part of North Norfolk. Relax and unwind in the sunny south facing garden and dine out at the village pub; the Rose & Crown; voted UK Pub of the Year 2015 by The Good Pub Guide. 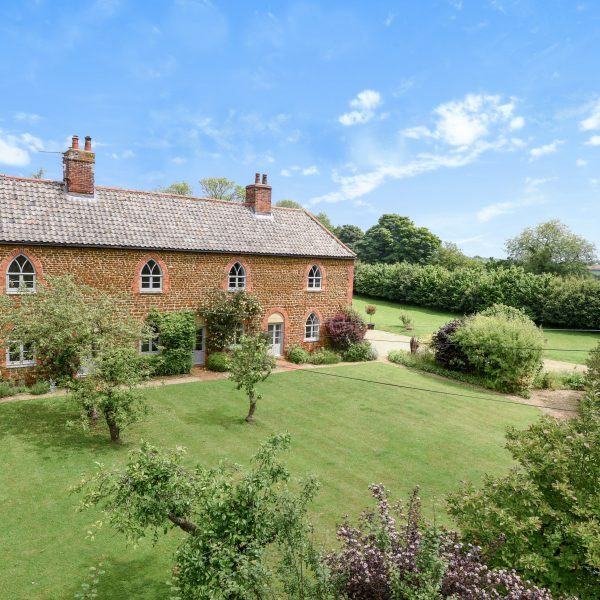 This is a stunning grade 2 listed period property that combines a beautiful building with a private and rural location. Set in a raised position above the coastal village of Snettisham, Norton House boasts a large, mature garden in which to relax and enjoy some well-earned time away from the hustle and bustle of the everyday life. A true gem offering an unforgettable experience! Please note, over winter 2018, the house is being renovated and in 2019 will offer an an additional bedroom, extended kitchen and dining space. From May 2019, Norton House will accommodate groups of 10! Pebble Cottage combines the charm of a 200 year old cottage with a relaxed a comfortable luxury seaside house. 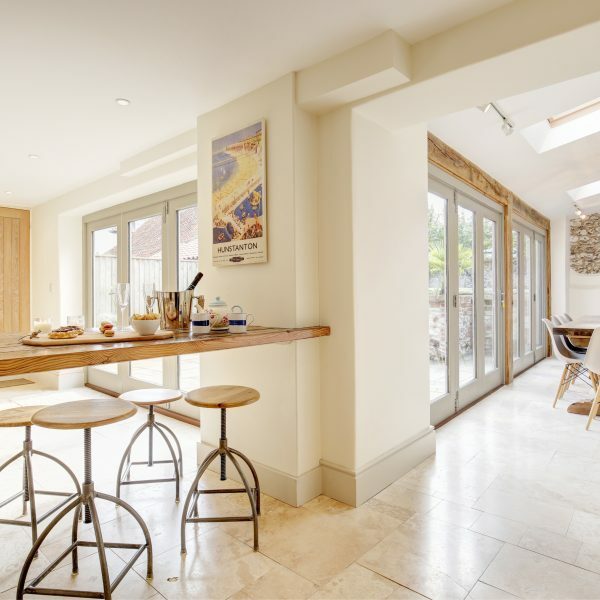 With feature chalk and brick walls inside and a soft palette of greys and whites, this luxury property is set right in the centre of the popular village of Thornham with its beach, harbour and fabulous eatieries all within an easy walk. This gorgeous self-catering holiday home provides a rejuvenating escape for a group of friends or a larger family. With five bedrooms, three en-suites and a family bathroom set over three floors, this fabulous property with oodles of style, will delight. With its south-facing garden too, this is a wonderful retreat all year round! 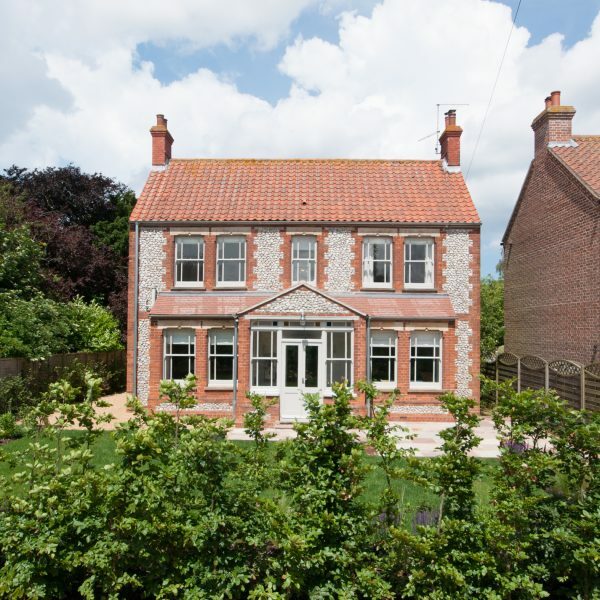 Created with an eye for detail and with loving care, Sandpiper Cottage is a newly created holiday let in the popular North Norfolk village of Snettisham. In this haven, you will be able to enjoy the many thoughtful touches implemented by the owners, before setting out on one many possible walks that are right on your doorstep. Special mentions go Snettisham RSBP reserve for its truly spectacular migrations, the woodland walk just across the road and the Queen's estate at nearby Sandringham. This delightful seaside cottage with a sea view is stylishly furnished throughout and just a short stroll from Old Hunstanton beach and its numerous restaurants and pubs. 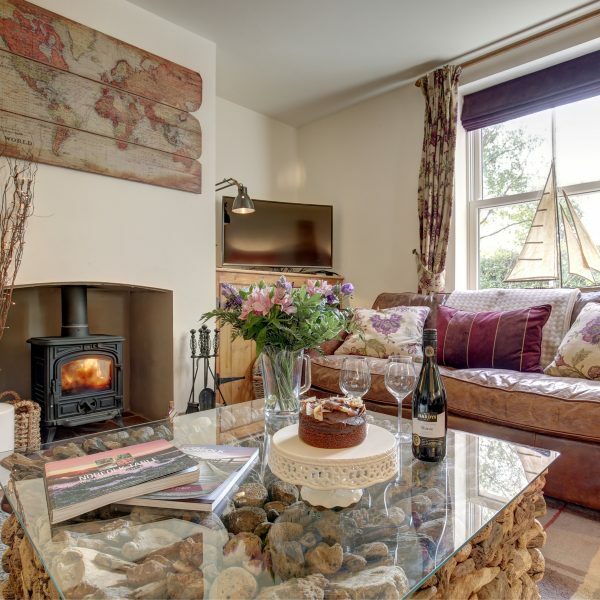 Built of local carstone, this charming cottage has a luxurious interior with an eclectic mix of vintage and seaside features and super-comfy furnishings. Just a short walk and you are on the sandy beaches at Old Hunstanton and Hunstanton, a Victorian seaside town brimming with restaurants, coffee houses and pubs. This is a fabulous place to relax and watch the world go by with easy access to everything you could need for a perfect holiday by the sea. This stylish second floor penthouse apartment offers superb, uninterrupted views of the sun setting over the rolling waves and the expansive sands of beautiful Hunstanton beach, from the comfort of this beautifully furnished coastal retreat. A fantastic location from which to explore the North Norfolk coast. This lovely ground floor apartment is perfectly located in Old Hunstanton, close to all the village amenities, shop, pubs and restaurants and just a few minutes' walk away from the beautiful sandy beach and 18 hole championship golf course. Set in a gated community, this delightful and comfortable property also comes with its very own beach hut, nestled into the sand dunes on Old Hunstanton beach. Pack a picnic, call at the village deli for croissants, stroll down to the beach, kick off your shoes and enjoy relaxing lazy sunny days in this little beach bolt hole.